Provides unique and indispensable guidance to all in the insurance industry, other businesses and their counsel in identifying and understanding the risks, notably including cyber risks, they face by using social media in the business world and mitigating those risks through a compilation of "best practices" by industry experts and rulings by courts and regulatory authorities. Addressing everything from the implications of data mining to the risks raised by the use of social media in the workplace, it also explains how insurers, agents, brokers, and others can use social media to market their products and services. 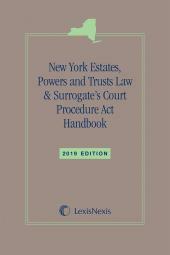 It features analyses of pertinent policies, statutes and cases. 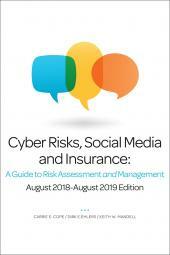 This publication uniquely provides a comprehensive resource for those in the insurance industry, as well as other businesses, and their attorneys, for understanding and successfully managing the opportunities and risks presented by the use of social media in the business world. It surveys social media today and assesses the considerable pros and cons of the use of social media by businesses. It examines how insurers, agents and brokers are now using it in marketing, underwriting, claim reporting and investigation, fostering customer relations, facilitating internal communications, mining data and using the mined data. It further explores the impact of social media on insurance producers. 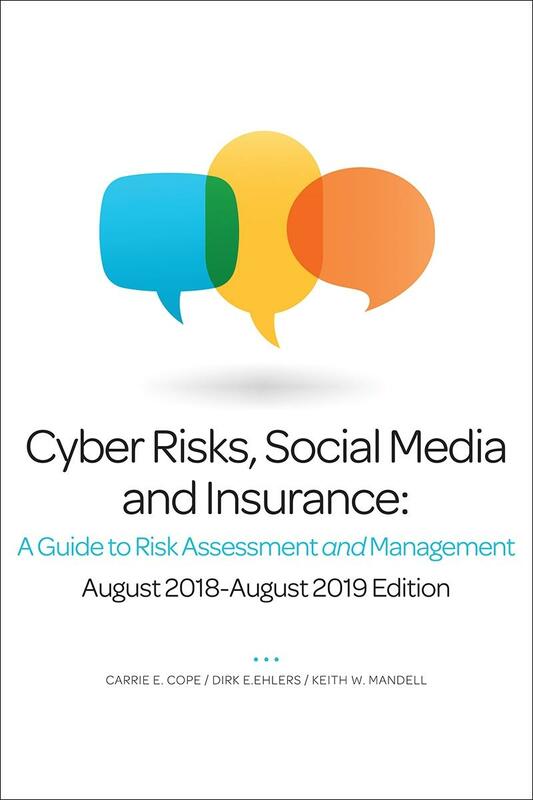 The publication identifies and discusses a wide variety of risks to businesses in general (including risks affecting insurers, agents and brokers), raised by the use of social media. This includes risks that businesses face from the use of social media by the businesses themselves, their employees and members of the public who post on a company's website or social media page.  It delves into issues such as defamation, privacy, false advertising, intellectual property rights and breaches, data breaches and data loss, SEC issues, risks unique to particular social media outlets and jurisdictional issues, examining developing laws and cases along the way. 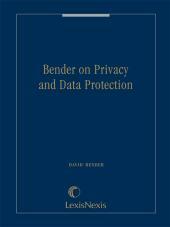 The 2015 Edition features an unique and in-depth analysis of first-party and third-party cyber risks facing the insurance industry and other businesses, the panoply of laws and regulatory initiatives that address cyber risks, pertinent litigation, and the mitigation of cyber risks which includes an examination of insurance covering such risks, as well as foreseeable future trends. The publication examines today's vexing issues of whether and how employers should use information obtained through social media in hiring employees. It discusses the prudence of having an internal company social media policy and dealing with issues as to the ownership of social media accounts used for business purposes. The publication considers how insurance regulators are using social media themselves and its impact on existing insurance laws and regulations such as those addressing data mining, underwriting, claim investigation, using social media to contact claimants, advertising, and record retention. It explores the crucial matter of how social media issues are beginning to be addressed in market conduct examinations. It further considers the intersection of state regulatory laws and guidance issued by regulatory authorities such as FINRA and the NLRB. • social media coverage within non-internet liability policies. The publication concludes with considered predictions as to the future of social media, new potential risks of emerging technologies and diverse future uses of social media by the insurance industry ranging from outsourcing to augmented measurements of ROI. The publication will be updated monitoring how today's predictions becomes tomorrow's standard operating procedures and setting forth now unimagined realities in this fast evolving and increasingly essential way of doing business.